This article contains facts and information about the life and times of the famous Native American Indian chief known as Chief Seattle. Who was Chief Seattle and why was this Native Indian chief famous? Summary: Chief Seattle aka Sealth, was born in central Puget Sound. He is better known by the English pronunciation of his name, after which the largest city in Washington state was named. He was a chief of both the Duwamish and Suquamish tribes. His eagerness to trade with first European traders and settlers and his conversion to Christianity led to dissent amongst his people. Sealth died on the Suquamish Reservation at Port Madison, Washington. The following fact sheet contains interesting facts, background history and information about the life of Chief Seattle and the events in history that led to his fame as a great Native American Indian leader. Chief Seattle (Sealth) was born during a period of immense change for the Duwamish and Suquamish tribes when European colonists arrived in his homeland. He was born to a highly respected family. His father, Schweabe, was a noble from the main branch of the Suquamish people which lived in Agate Pass. His mother, named Sholitza, was from the Duwamish tribe who lived on Bainbridge Island at the lower part of the Green River across Puget Sound. When he was 14 years old Sealth underwent a Vision Quest, in accordance with the traditions of his people. The Spirit Guide revealed during his Vision Quest was the powerful spirit known as the Thunderbird. The Thunderbird was therefore the spiritual guide of Sealth which would walk with him through different stages of his life teaching, guiding and protecting him. The revelation affirmed his noble status in the community of the Suquamish. Sealth went on to fight hard for the people that he led, and won many battles against the enemies of his tribe. There were many disputes, conflicts and inter-tribal warfare amongst the Native Indians. Chief Seattle led his tribe to victory in a decisive battle against the Cowichans of Vancouver Island. The Cowichans had been mounting numerous raids on Duwamish and Suquamish villages. Chief Seattle used his skills as a military strategist to ambush the enemy tribe by tumbling trees across the river where the Cowichans usually sent their raiding warriors. Chief Seattle famously defeated the Cowichans and went on to fight many other battles against different tribes. These included the defeat of a powerful force of S’Klallam who lived in the northern part of the Olympic Peninsula and successful raids against enemy tribes along the Snoqualmie River. 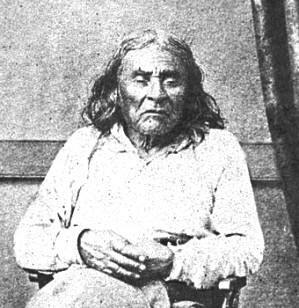 Chief Seattle (Sealth) converted to the Christian religion around 1848 following the death of one of his sons in a battle against the Tsetsibus. He, and his children received baptism in the Roman Catholic Church near Olympia, Washington. His conversion to Christianity marked his emergence as a leader who sought friendship and cooperation with the American settlers. Chief Seattle realized that the advance of the powerful and numerous settlers could not be stopped. This conversion to Christianity marked the end of his fighting days. However his conversion to the Christian faith together with his friendship with the white settlers was received with deep suspicion by many Native Indians. Chief Seattle was intrigued by Europeans and their culture and became close friends with David Swinson "Doc" Maynard (March 22, 1808 – March 13, 1873). Doc Maynard was an American pioneer and doctor, and one of Seattle's primary founders. He also had progressive ideas for the time and became a good friend of the Duwamish and Suquamish tribes. Legend tells that Chief Seattle saved the life of Doc Maynard during an attack by an enemy Indian tribe. Stealth also gave protection to the settlers from enemy tribes. Washington became a territory in 1853 and Doc Maynard was appointed as the man in charge of Indian relations. His relationship with Chief Seattle was extremely important when the Seattle Indian Wars (1854 - 1856) erupted. The Seattle Indian Wars (1854 - 1856) broke out as more and more American settlers came to the Puget Sound region. The clash of cultures and the breaking of treaties and land incursions were to blame. Doc Maynard paved the way for peace and in January 1855 Chief Seattle signed the Elliott Point Treaty. However the arrival of the U.S. Navy sloop-of-war Decatur with a crew of 140 arrived in Puget Sound to protect against possible Native Indian threat. Doc Maynard argued that Chief Seattle's tribe was not a threat and was ordered to re-settle many Puget Sound Native Indians on the Suquamish Reservation at Port Madison, Washington. Other tribes continued to attack the settlers but Stealth was responsible for discouraging up to 4000 warriors not to join the conflict. The Seattle Indian Wars ended in 1856 when the Native Indians who attacked Seattle were defeated and their leaders tried, convicted and executed. Chief Seattle (Sealth) lived his final years in peace and died on June 7, 1866 at the Suquamish Reservation at Port Madison, Washington. In 1890 the citizens of Seattle erected a monument to the memory of this great Native Indian leader for whom the city of Seattle was named. The following authentic quote was made by Chief Seattle (Sealth). with the greatness of tribes that are now but a mournful memory." Chief Seattle (Sealth). Discover the vast selection of pictures on the subject of the tribes of Famous Native Americans such as Chief Seattle. The pictures show the clothing, war paint, weapons and decorations of various Native Indian tribes, such as the Suquamish tribe of Chief Seattle, that can be used as a really useful educational resource for kids and children of all ages studying famous Native Americans such as Chief Seattle. We hope you enjoy watching the video - just click and play - a great educational resource for kids.